The best tips for advancing in the iOS and Android game, Bit City. 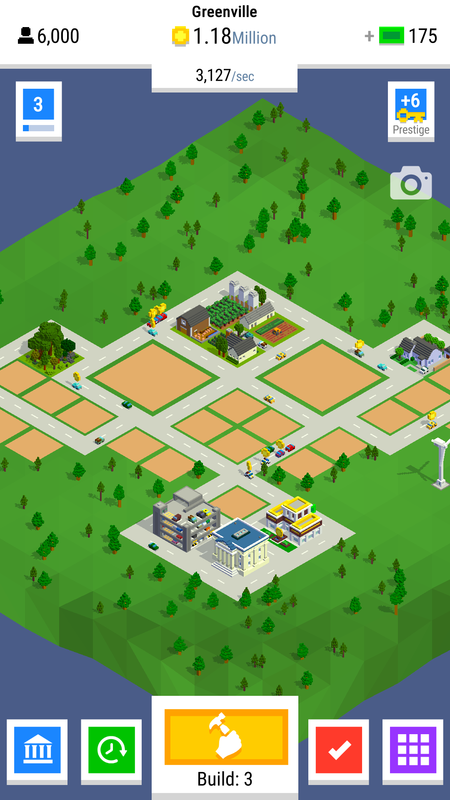 Gamers into city building simulation games like Bit City are sure to be smart and savvy, and in an effort to help them make some progress, we’ve put together a list of the best tips. Here, we’ll cover how to provide your city with high-earning buildings, level up top-notch facilities, and generate so many coins you’ll have to upgrade your bank a few times. If this sounds good to you, then we invite you to continue reading! 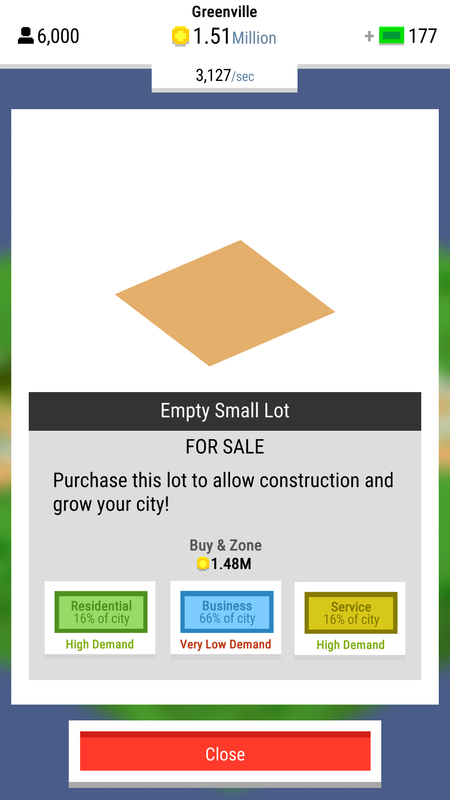 A great Bit City tip for a beginner that is looking into purchasing residential, business, or service buildings, is to always look at the demand. You can find this when you click on an empty lot under the green, blue, and yellow buttons. Here, you’ll see text that reads normal demand, high demand, and low demand. When you build too many or too little of a category, the demand will change to reflect that. Make sure you’re supplying structures that meet the demand for your city. Another tip for beginners who’ve just started occupying lots in their Bit City, is to tap on the buildings you construct and examine its information. This includes stats such as its level, how much it earns, the demand for it, and how effective it is. 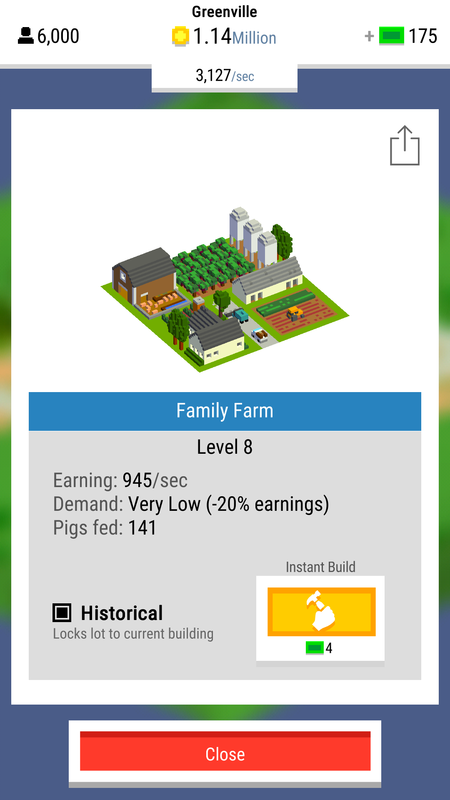 If you find these stats desirable, mark the building as Historical so it stays the same when you level it up. One of the best tips for a beginner who wishes to make faster progress in Bit City is to know how to get more coins fast. Coins and Bux are needed for everything in this game and there are a few ways you can speed up the process. We’ve covered this topic in another article so make sure to check it out because it’s the most valuable skill you can have in this game. 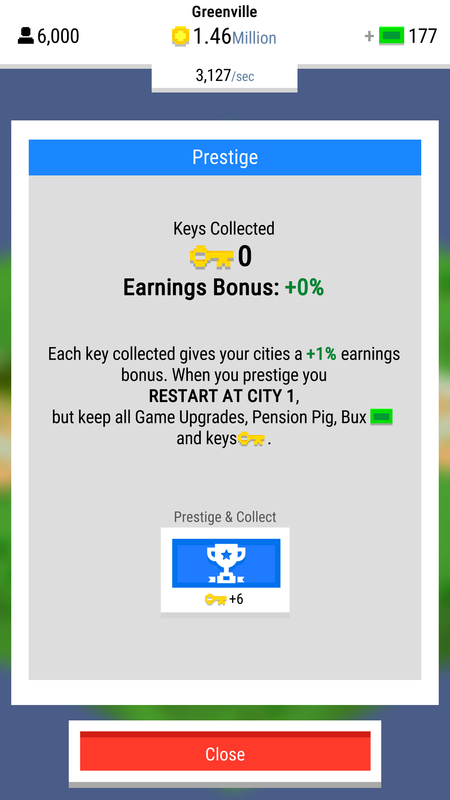 A good tip for beginners to the mobile game, Bit City, is to be patient when deciding to prestige. This will use up one of your keys and send you back to the first level of the game. The cool thing about it is that you get to keep all the upgrades, bonuses, keys, and Bux you’ve earned. Waiting to do this is a good idea since the amount of keys you have will provide you with a 1% earning bonus after you prestige. The more keys you have, the more you’ll make when you finally reset, so stock up on those keys! We hope that these tips for beginners has helped you out with your Bit City gaming and if you have any suggestions, leave the in the comments. Check out some of the other mobile games we've covered, such as Pokemon Duel and Pokemon GO.